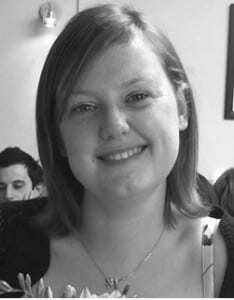 Rebecca completed her BSc in Genetics from the University of Leeds in 2005. In 2007, she began working at the Social, Genetic and Developmental Psychiatry (SGDP) Centre as a research assistant under Prof Ian Craig, Dr Katherine Aitchison and Prof Peter McGuffin on the GENDEP project. In 2009 she started a PhD at the SGDP in psychiatric genetics with Prof Jonathan Mill and Prof Ian Craig working on her thesis investigating behavioural and molecular changes associated with advanced paternal age. After her PhD, she started a post-doctoral research position at the SGDP with Prof Mill investigating epigenetic changes associated with Alzheimer’s disease followed by a position investigating epigenetic changed associated with conduct disorder in a subset of the ALSPAC sample with Prof Mill and Dr Edward Barker. She is currently working as a research fellow with Dr Katie Lunnon at the University of Exeter investigating the contribution of epigenetic phenomena to AD. Please click here to see Rebecca’s CV.